Adobe has expanded on the integration between Adobe Analytics Cloud and Adobe Advertising Cloud with Advertising Analytics for Paid Search. The move allows marketers to combine intent from offsite advertising strategies with digital engagement data in Adobe Analytics in Google AdWords, Yahoo Gemini, and Bing Ads. “We could do some of this before, but is wasn’t super simple,” said Nate Smith, Adobe group manager of product marketing for Adobe Analytics Cloud, adding that now there are multiple search engines involved. 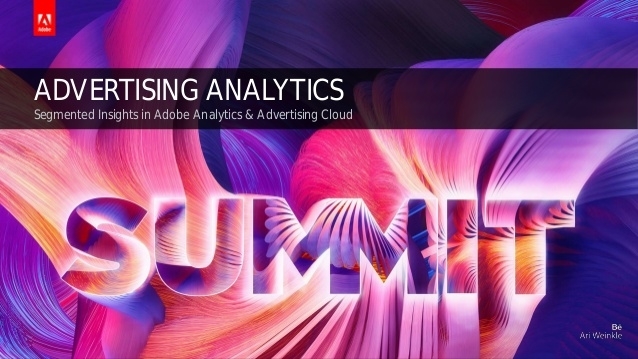 Adobe now uses a pre-built advertising cloud integration to pass the data to Adobe Analytics. Search generated $40.6 billion in 2017, and mobile contributed 54% to paid-search ad revenue, according to the annual analysis from the Interactive Advertising Bureau (IAB) and PricewaterhouseCoopers (PwC). Smith said Adobe also is exploring integrations with search technology companies like adMarketplace, which focuses on publisher and websites rather than engines. It’s not just about getting the data into the platform, it’s about what marketers can do with the data once it’s there, he said. Adobe’s integration aims to give marketers insight into impressions, clicks and cost, as well as average positions and quality scores directly in the company’s analytics platform. Marketers also now have an option to pull data into Adobe’s Analysis Workspace, which merges creativity and data. It also offers new reports and workspaces for advertising such as accounts, campaigns, groups, ads, keywords and match types. This allows marketers to see a full breakdown of campaigns. For example, a retailer runs three campaigns on Google, Yahoo and Bing focused on big-screen TVs leading into Super Bowl Sunday, and wants to track the success. The retailer can see in one place the campaign that generates the most impressions and click activity, and can then integrate these results with existing data such as cart additions, checkouts and revenue by target audience.